I made this for dinner the other night and my husband could not eat enough of the veggies and he is not a big veggie eater!! He started eating it off my plate. 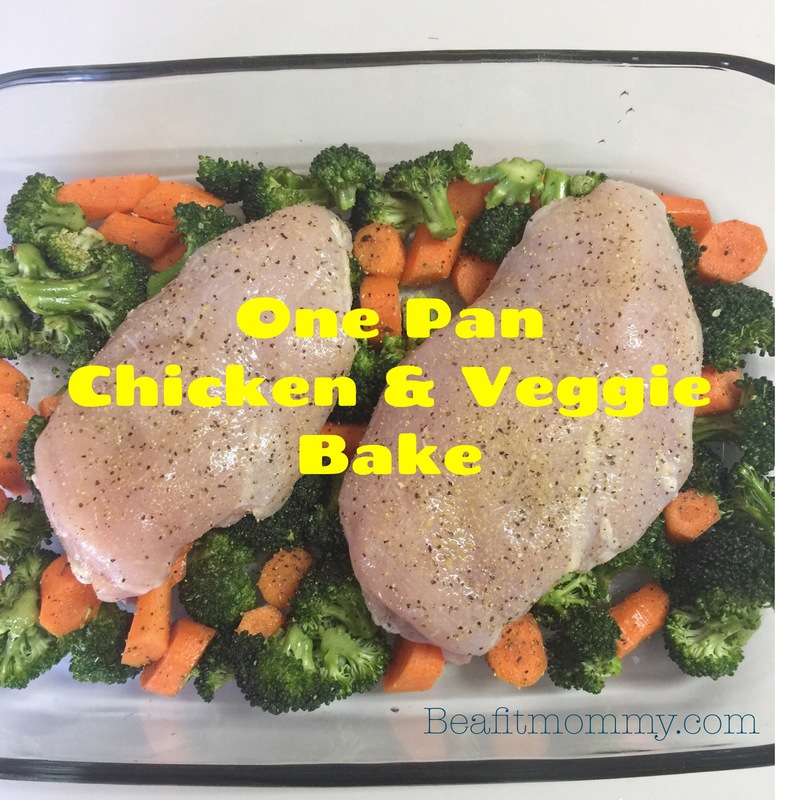 😆 This One Pan Chicken & Veggies is definitely on our regular dinner menu! It is super easy to throw together and bake in the oven. This recipe is perfect for my family of 4. If your family is bigger I would add an extra cup of veggies and an extra chicken breast or double the recipe. Start with your cut up veggies and place in a gallon plastic bag. Add oil and no salt seasoning and shake in the bag to coat all the veggies. 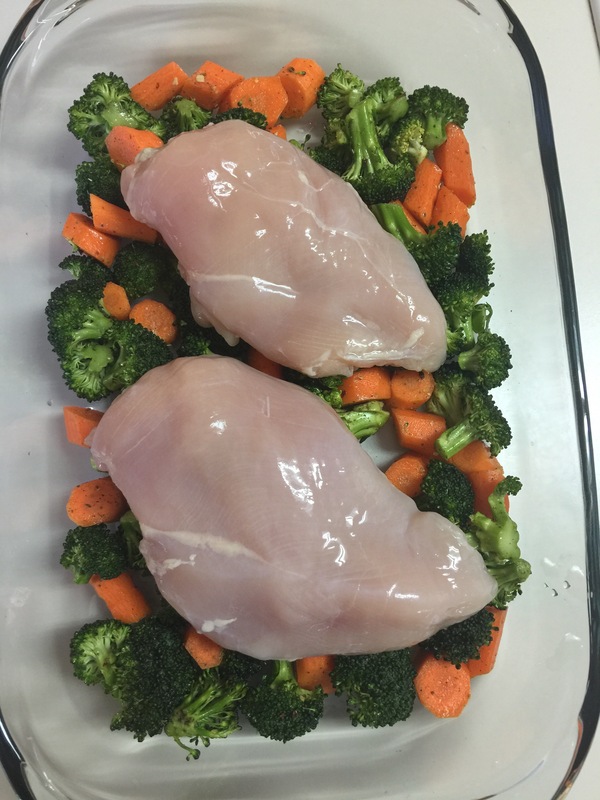 Place the veggies in a 13×9 and top with chicken. 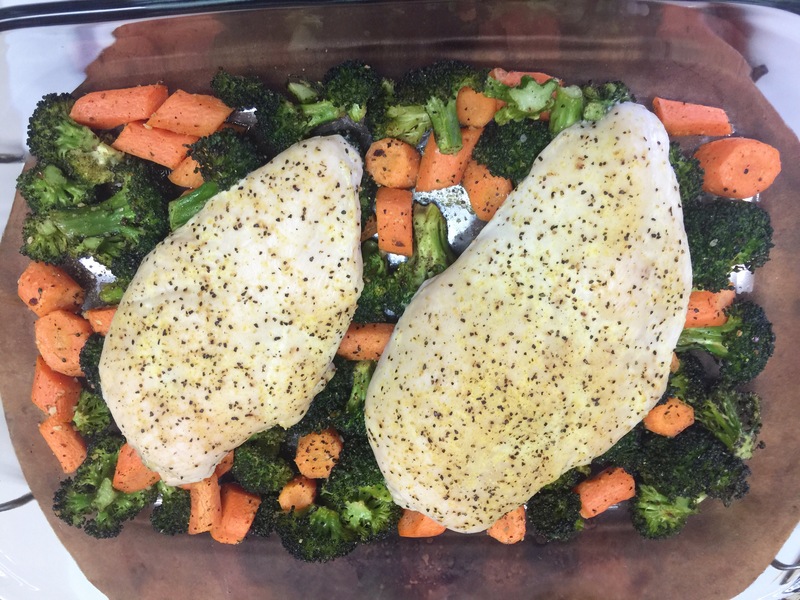 Sprinkle chicken with lemon pepper (I lightly sprinkles lemon pepper on veggies too) and place in oven. 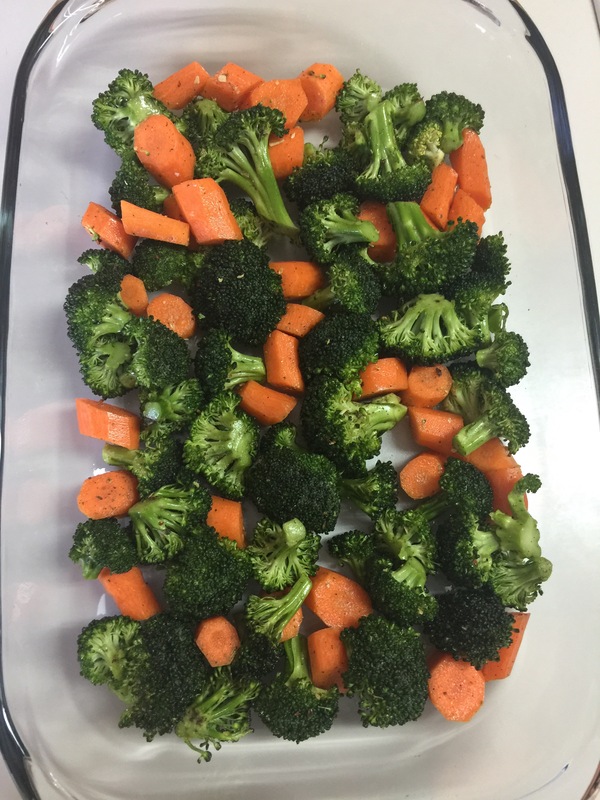 Preheat oven to 400 F. Place cut up veggies in a plastic gallon bag, add olive oil and no salt seasoning and shake up to coat all the veggies. 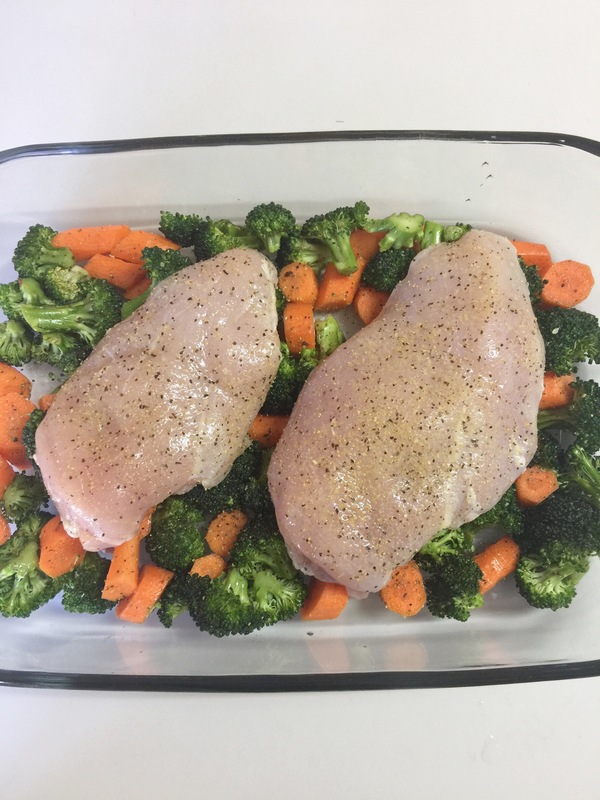 Place the veggies in a 13×9 pan then top with chicken. Sprinkle the lemon pepper on the chicken and a little on the veggies if desired. Bake at 400 F for 35-40 minutes or until chicken is cooked through. Serve with a side of rice or rolls. This looks easy and yummy! I will try this one! Thanks! Thanks 😊 Let me know how you like it!